This book aims to go beyond mere exam practice; it provides in-depth practice, based on the authors’ experience with candidates, in those skills and attitudes which are not only essential for success in each of the papers, but will also be needed in the students’ later studies. It contains an answer key and notes to the teacher and student. 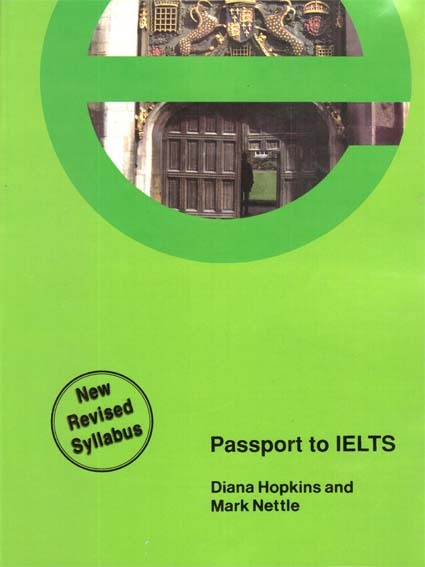 There are ten units each containing: sample tests (the tests used throughout the book become increasingly like the real exam, and unit 10 contains a full IELTS sample test); answer key and feedback notes; skills focus. The book is aimed at advanced level students (for the International English Language Testing System UCLES Examination). The Listening and Interview modules are the same for all candidates. Your IELTS test centre will tell you whether you need to take ACADEMIC or GENERAL TRAINING. Reading and Writing modules, depending on the type of course you will be doing in English. This book is suitable for both Academic and General Training candidates. Each unit of this book gives you practice for each module of the test, as well as giving you a chance to develop specific skills that will help you both in the test and in your use of English generally. each unit there are one or two SKILLS FOCUS sections. You will find keys to all Skills Focus sections and tapescripts for all recorded material at the hack of the book. It is important that you try to do the reading and writing tests within the time limits suggested. This will give you realistic practice in working under time pressure. The IELTS listening cassette is played only once so you should only play your cassette once, too. Of course, you may wish to listen to the recording a second time after you have checked your answers. Many of the speaking practice sections work best if you have a partner, although if you cannot find a partner it is useful to study the sections anyway. The units become progressively closer to a full-length IELTS test, so you should do them in order. However, you may wish to refer to a particular Skills Focus at any time or work through it more than once. Unit 10 is a complete practice IELTS test. You should do it under test conditions if possible. If you are working without a teacher you will not be able to do the interview part of the test. When you have completed the full test, following the instructions carefully, you should check your answers and then look at the score guide. I am appearing in IELTS exam since last 4 times and not able to achieve more than 6.5 bands in writing yet. I really need General Training module books for practice…..but find difficulties to download!can you please sent those link in my email address? ?